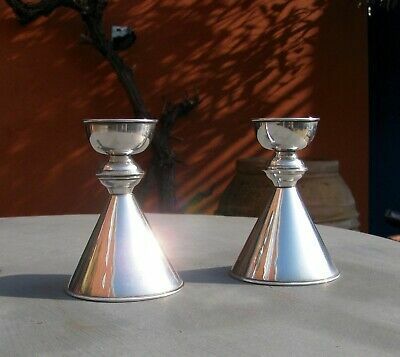 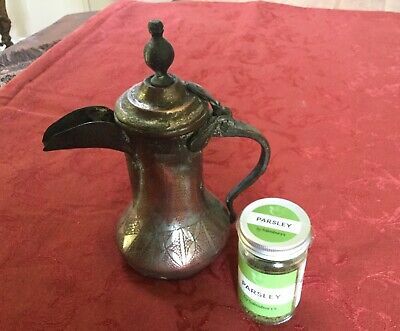 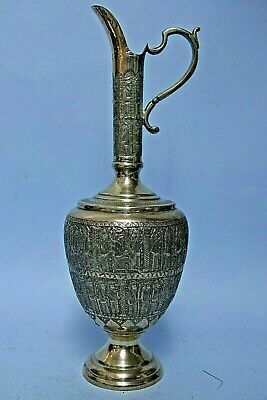 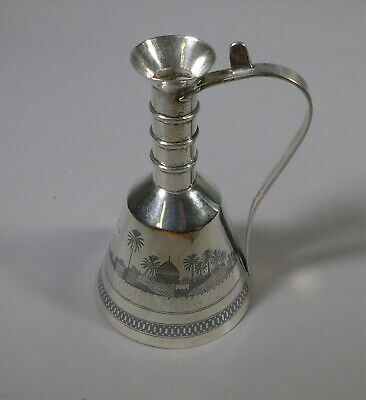 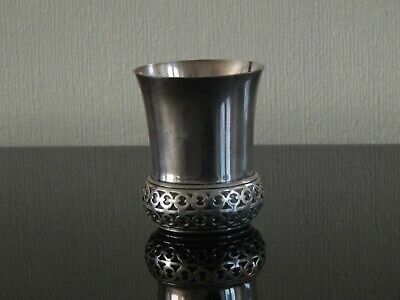 Antique/Vintage Small Silver/White Metal Vase Middle Eastern ? 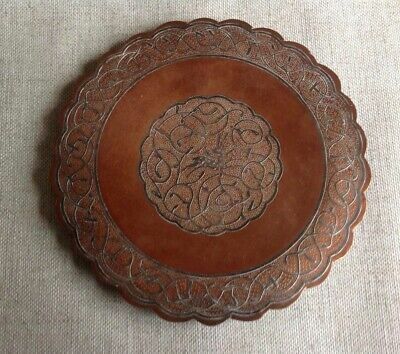 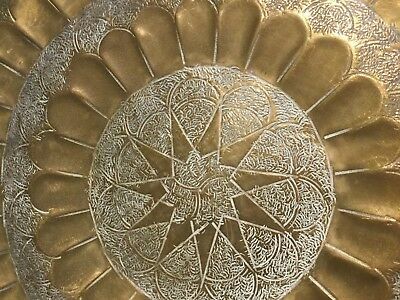 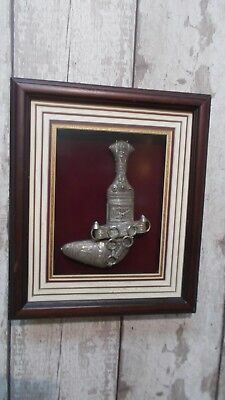 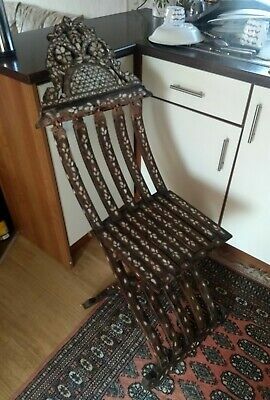 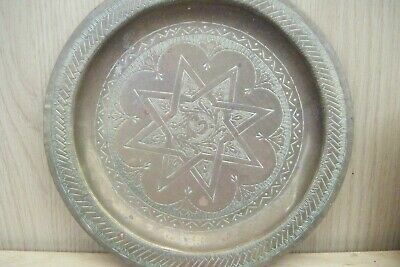 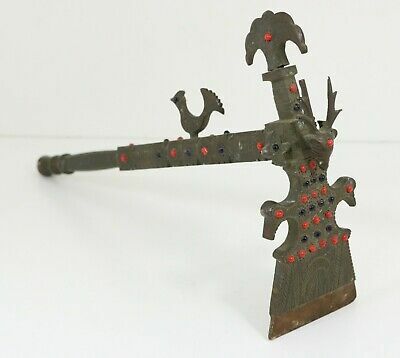 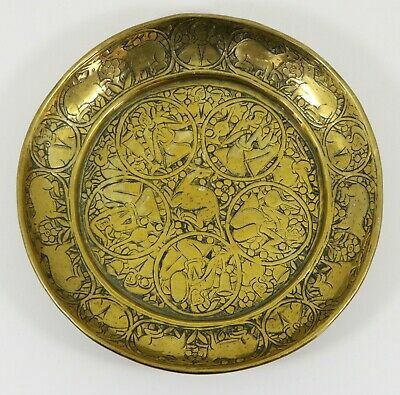 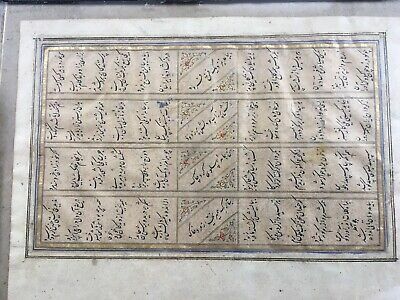 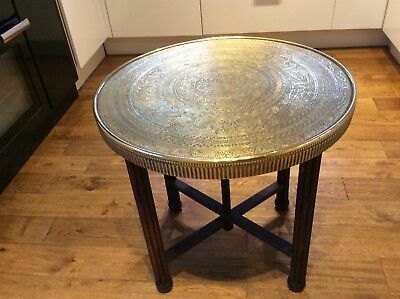 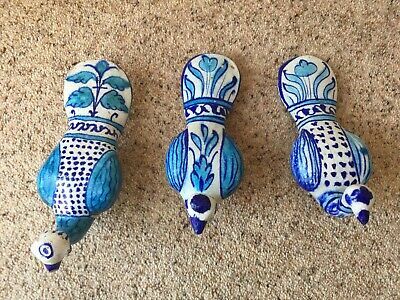 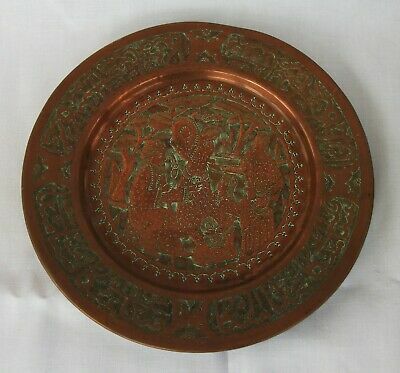 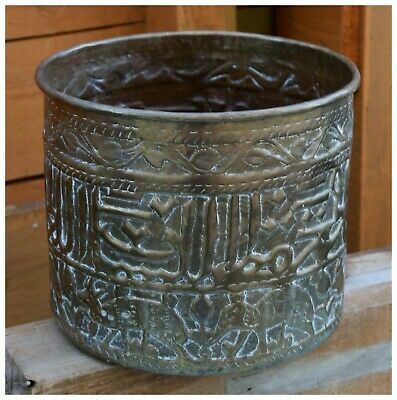 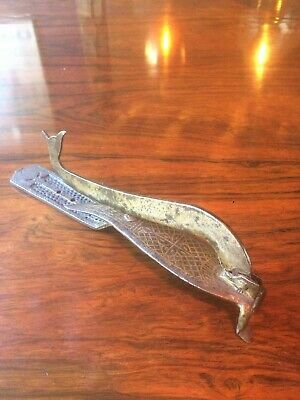 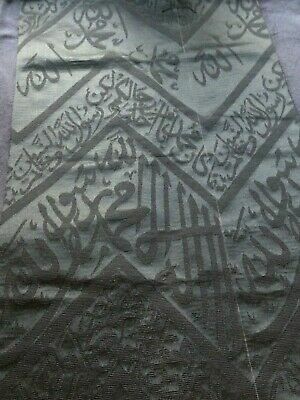 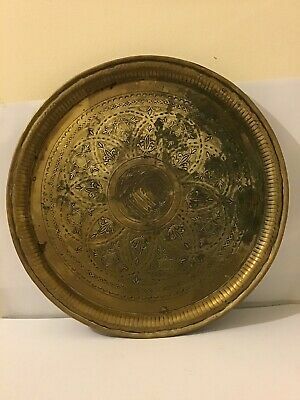 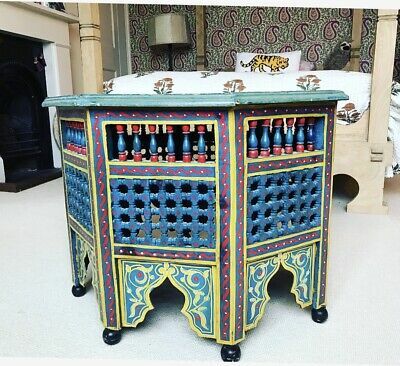 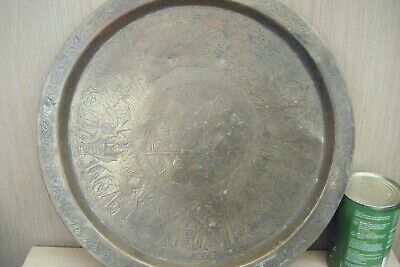 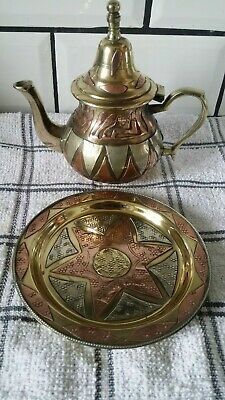 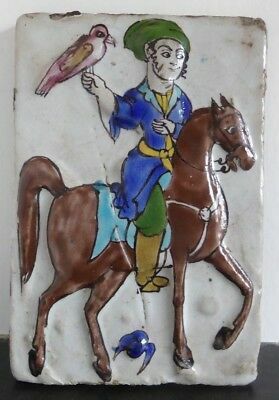 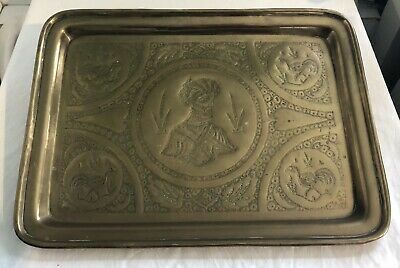 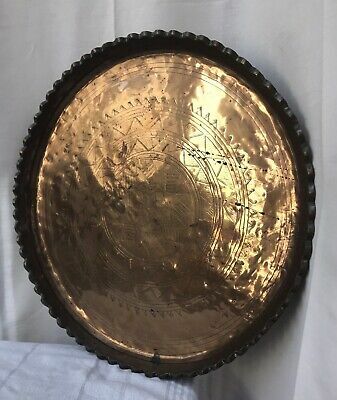 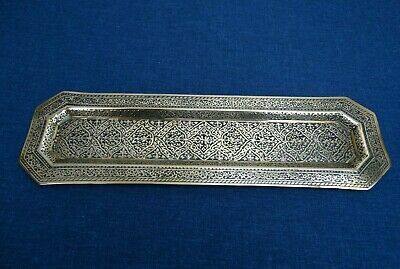 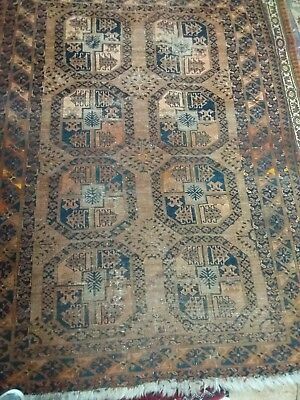 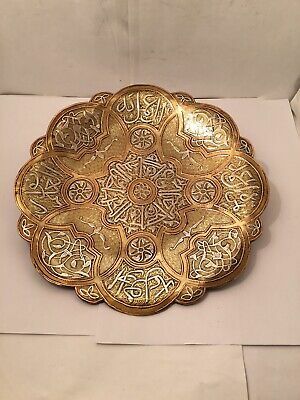 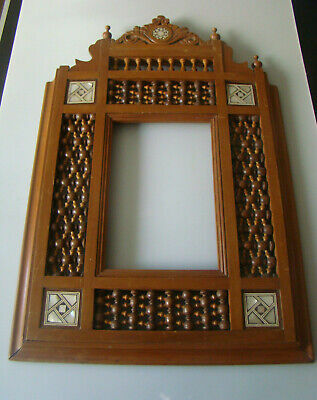 middle eastern/islamic brass plate/tray/wall hanging. 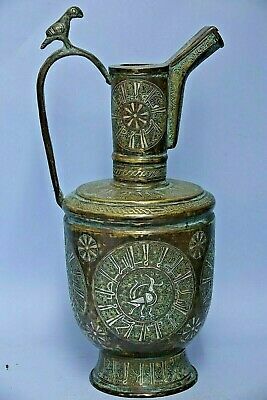 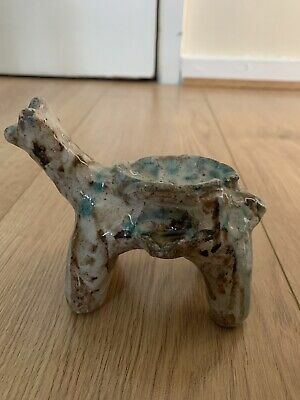 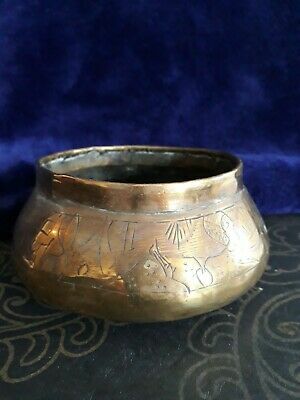 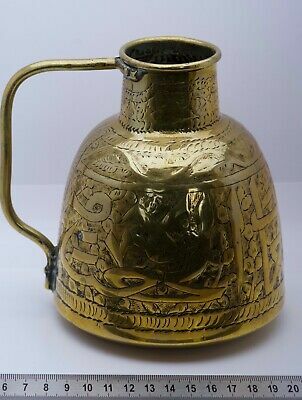 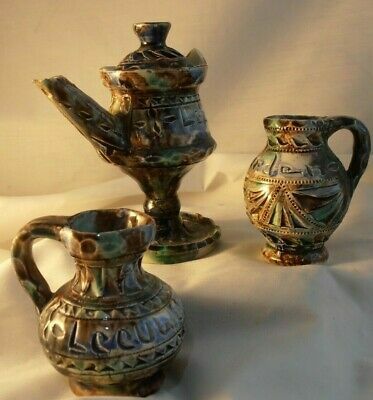 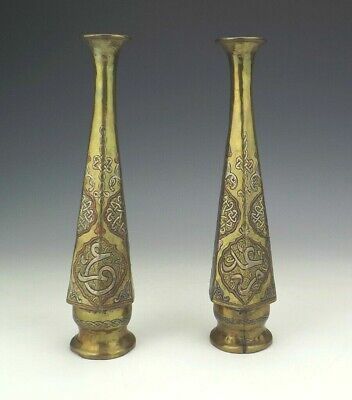 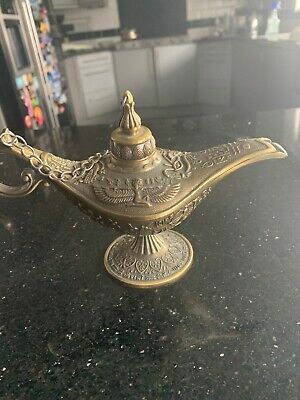 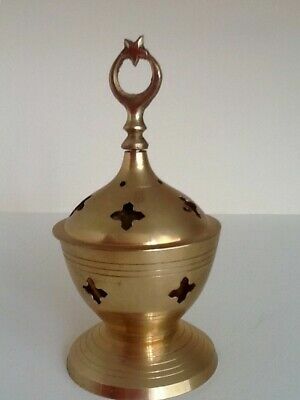 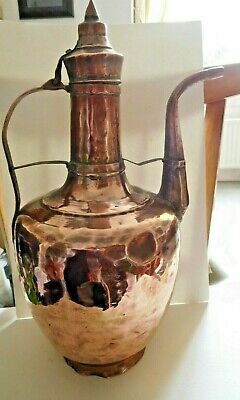 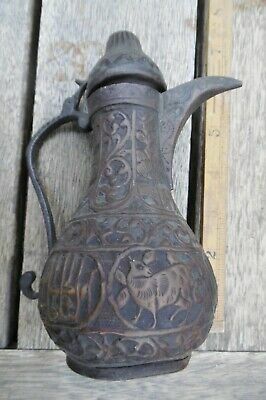 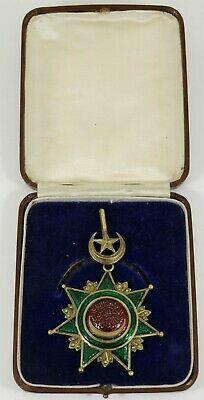 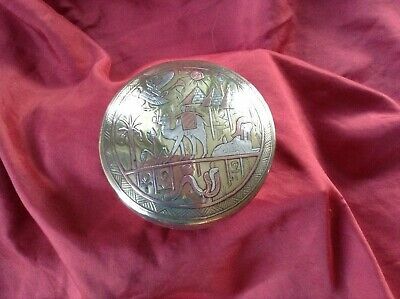 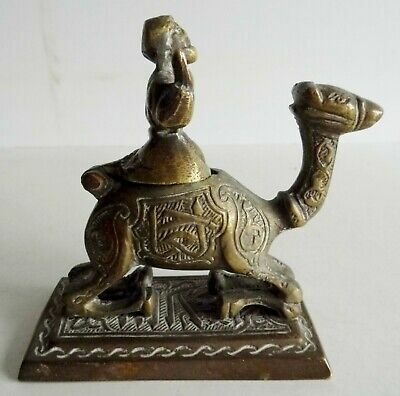 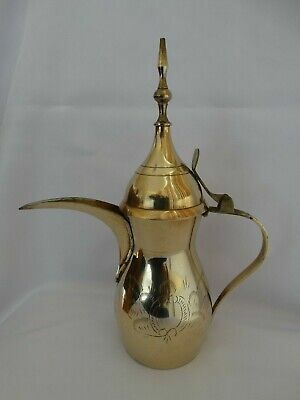 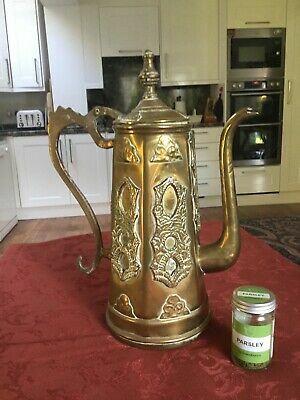 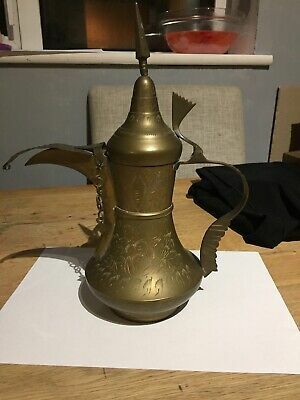 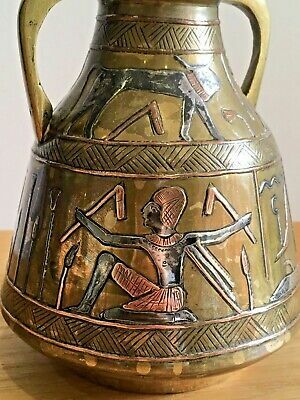 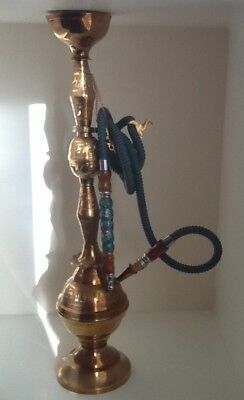 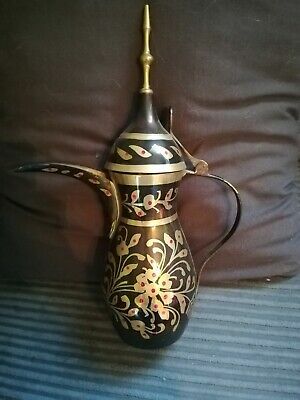 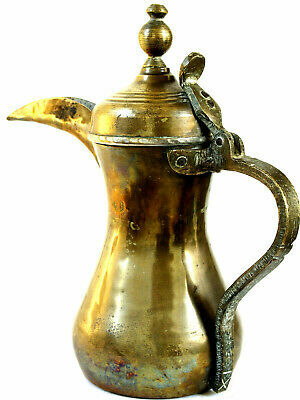 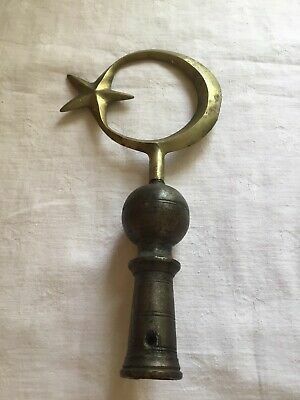 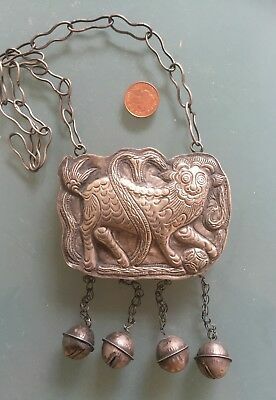 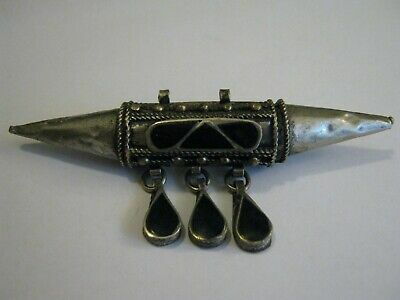 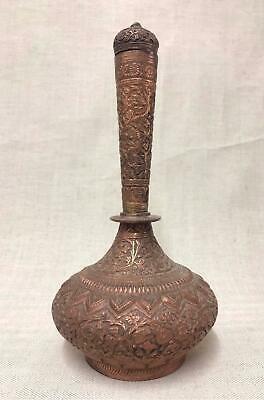 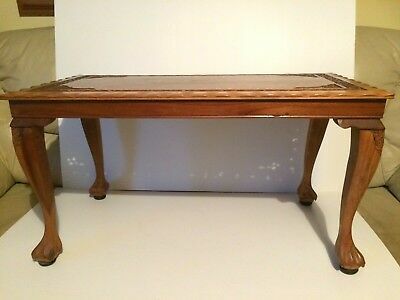 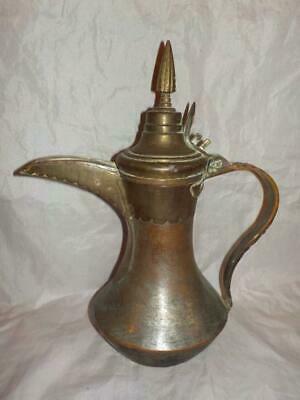 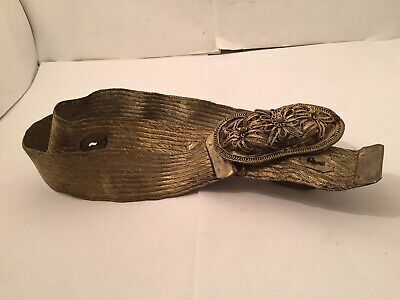 Antique Middle Eastern Brass Jardinière. 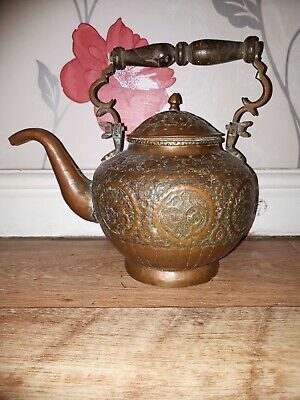 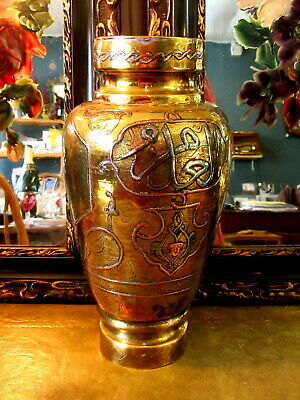 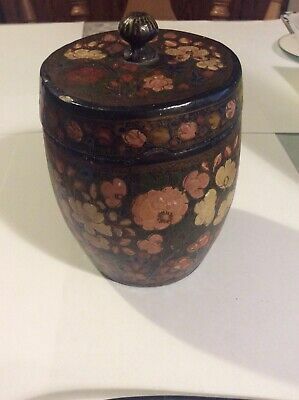 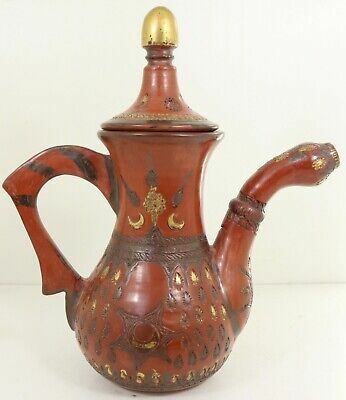 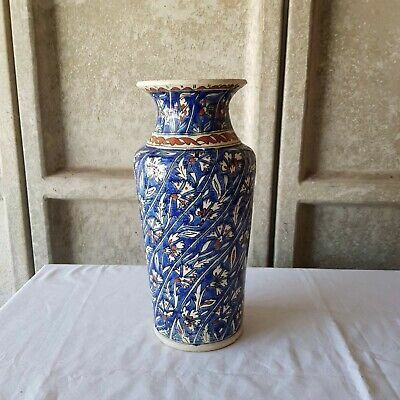 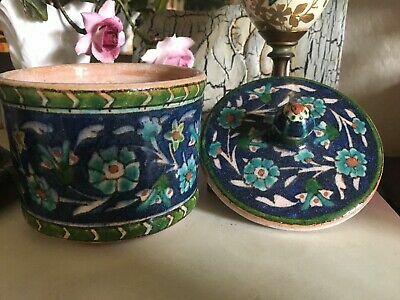 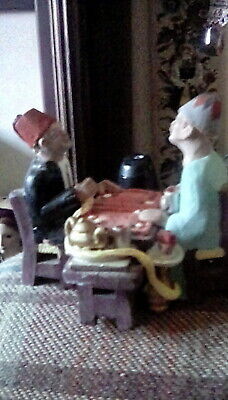 Vintage, papier mache, lidded pot with lacquered, Indian floral pattern . 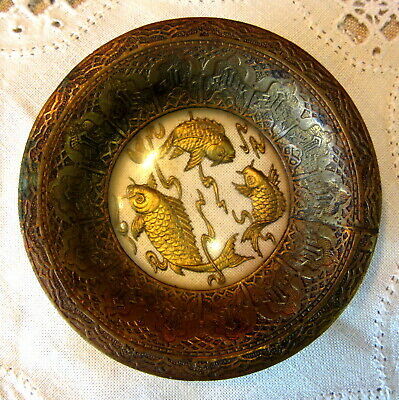 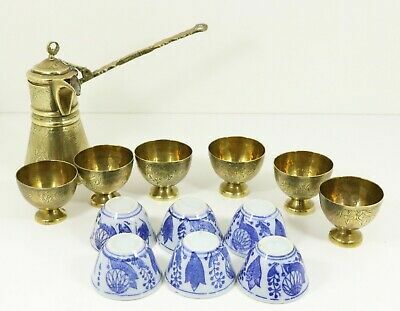 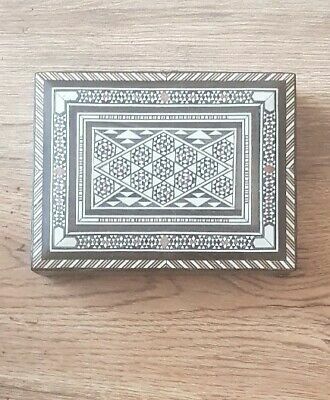 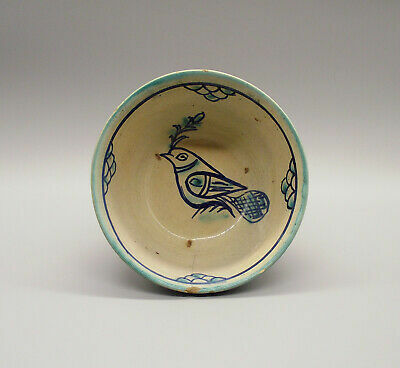 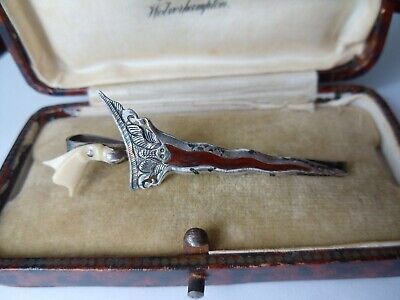 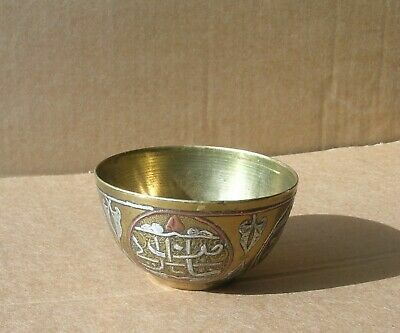 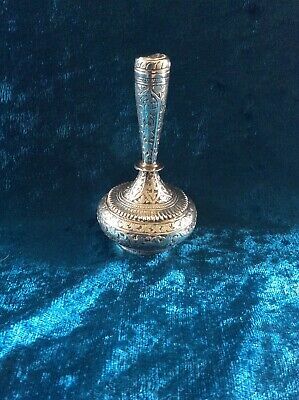 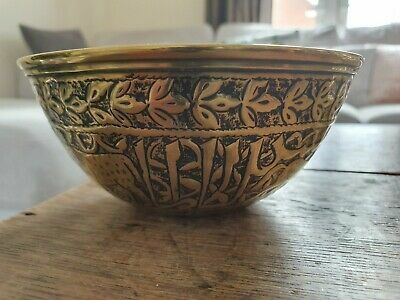 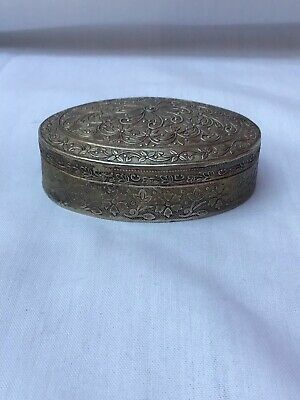 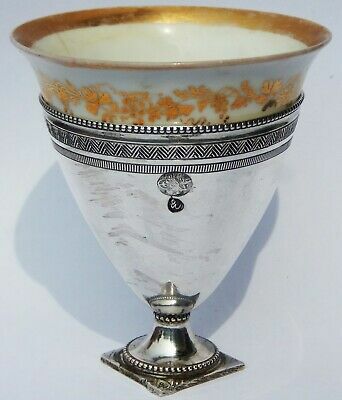 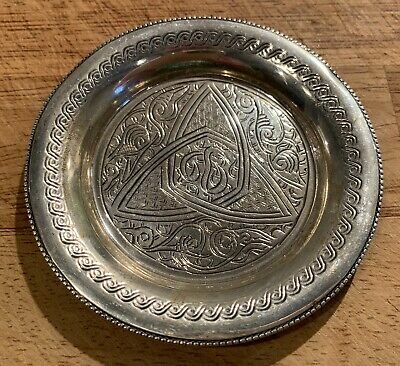 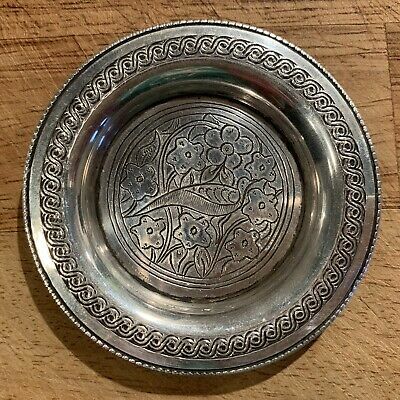 Fine antique Middle Eastern white metal/silver filigree bowl. 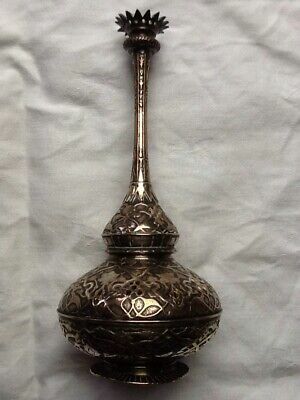 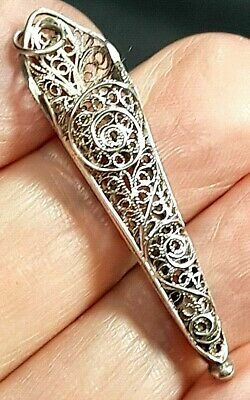 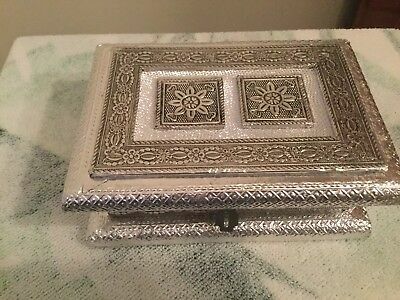 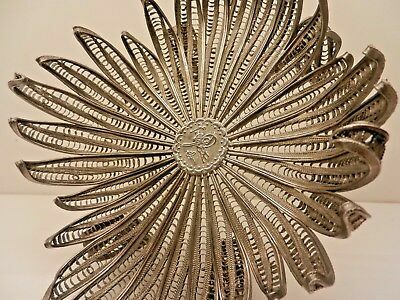 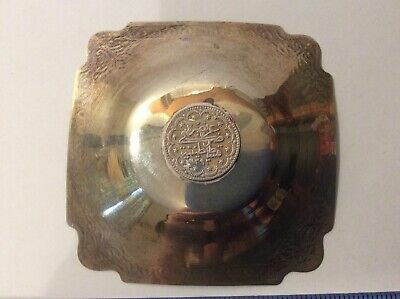 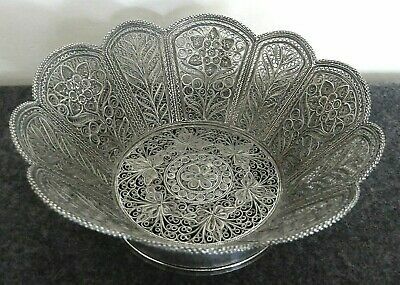 Antique Middle Eastern Silver plated Filigree Flower Bowl. 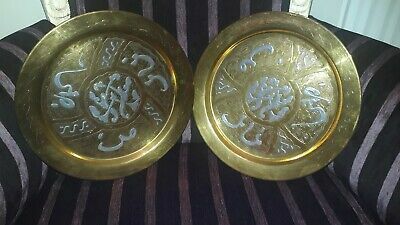 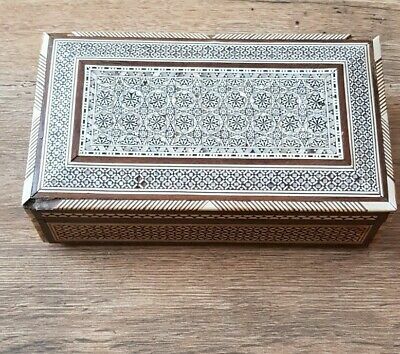 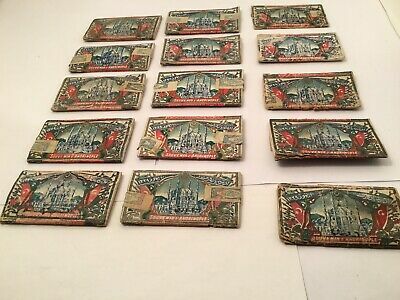 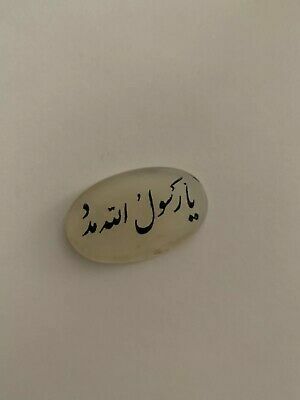 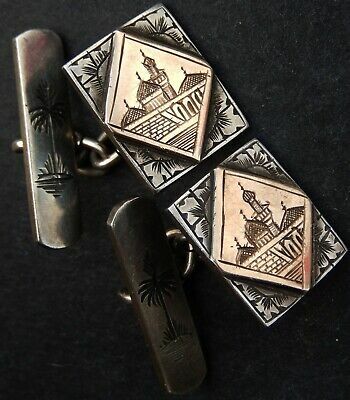 Pair Islamic/arabic?brass Wall Plates, With Copper And Silver Coloured Inlay.